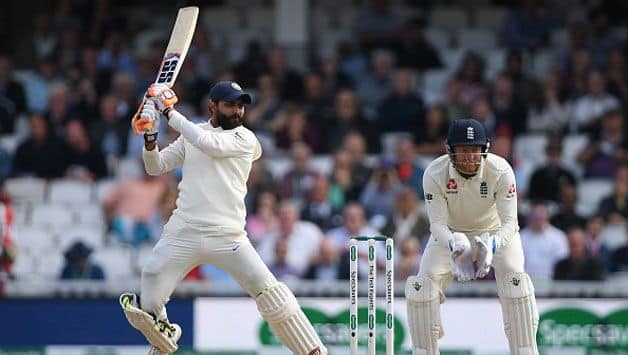 All the major stats and facts from the third day of Fifth Test match between England and India at The Oval. Alastair Cook (46*) and captain Joe Root (29*) added 52 unbeaten runs to give England a lead of 154 runs with 8 wickets in the hand at the end of the third day of the fifth Test match at Kennington Oval in London. Earlier in morning India resumed batting on 174/6 and both Hanuma Vihari and Ravindra Jadeja started well and added 77 runs for the 7th wicket, Hanuma departed after completing his maiden Test fifty and on the other hand, Ravindra Jadeja added useful runs with the tail and scored unbeaten 86 runs and helped India to post 292 runs on the board. 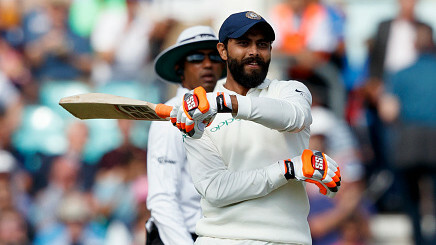 7 - Ravindra Jadeja became the 7th Indian player to score a 50 and take 4 or more wickets in an innings in the same Test match in England. 17.72 - Keaton Jennings' batting average at home (England) in Test cricket - the second lowest for an opener at home in Test cricket (Min 15 innings). 35 - Rishab Pant has conceded 35 byes in this ongoing Test match against England in Oval - the second most by an Indian wicketkeeper in a Test match. 56 - Hanuma Vihari scored 56 runs in his debut Test innings while batting at number 6 - the fifth most by an Indian player on debut Test innings while batting at number 6.